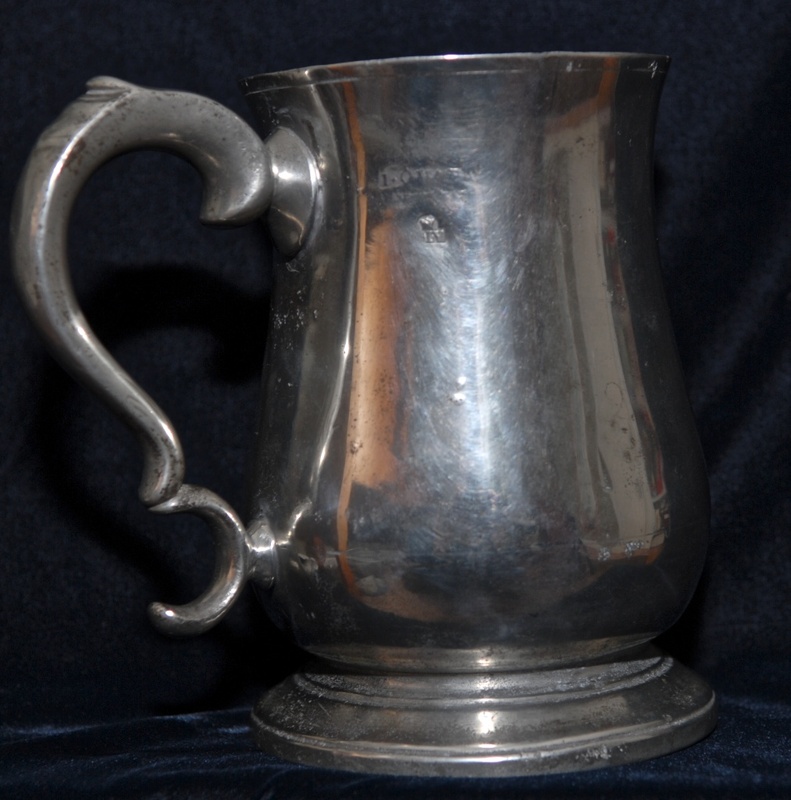 Quart tankard of tulip form. Very hard pewter. and is also stamped with the inspector’s initials HM. Second quarter 19thC.